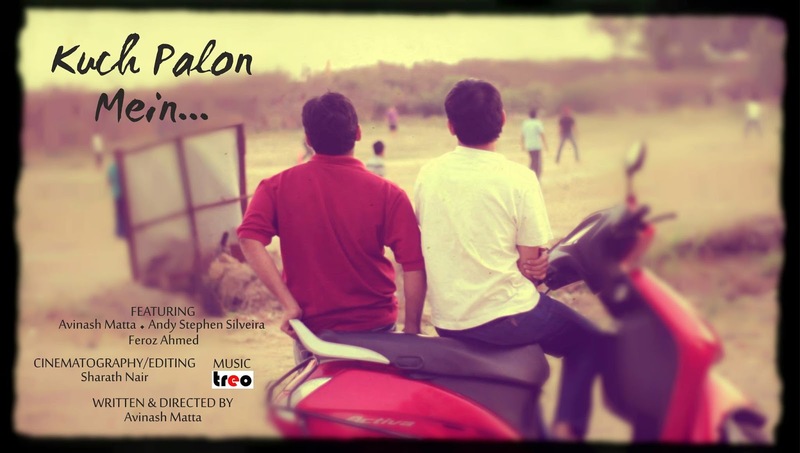 Kuch Palon Mein, a short written and directed by Avi explores the relationship between Mihir, a college student and Ankit, his senior who Mihir had a crush on. Upon realizing that they are both gay, their relationship seems to turn into a romantic one night stand, after which Mihir learns that Ankit is actually closeted and married to woman. Q. What inspired this story? Why choose the topic of a closeted-married gay man? Couple of years after passing out of college, I came across a profile on a popular gay dating website and realized it’s my junior from college. That incident not only surprised me but also made me realize that queer people are omnipresent. Hence, the idea of senior-junior meeting after long and discovering each other’s sexuality. The idea of a closeted-married man comes from another incident where I happened to go on a blind date but later found out that the man is married and has a daughter. I ended up interviewing him informally to understand the circumstances which made him get married. Q. What are you hoping to evoke in your viewer? The sense that this relationship couldn’t be accomplished because of society’s non-acceptance. Had Ankit been able to come out during his college days, he wouldn’t have put himself and Mihir in such a difficult situation. Q. Given that the LGBT community have been more open and out over the last few years, how realistic is it for one to fall into a situation like Mihir finds himself in? The LGBT community is definitely evolving yet there is a huge gap left unbridged. There are still many queer men and women we are unaware of who are secretly suffering in the closet. And we can never know how and where we would come across them. Q. Do you think Ankit’s character is a realistic depiction of closeted-married men? Personally I think he came with the agenda of sleeping with Mihir to fulfill his own desires. It would be interesting to explore his psychology. Ankit is gay but did not have the courage to come out and hence got married. He comes to a city for a business trip and like any other gay man, logs into the social networking site to find a date. But, the fact that Mihir is also gay shocks him. What happens when a closeted gay man bumps into a loud, out, open and bubbly boy like Mihir? Ankit gets carried away and falls for him because a character like Mihir provides hope. But, lacking courage to face himself and complicating matters, Ankit chooses to remain in the closet and ends the relationship even before it begins. This is what I had in mind while scripting. Q. What are your thoughts on the depiction of homosexuality in mainstream Bollywood, more specifically with regards to Bombay Talkies, My Brother Nikhil & I Am. Bollywood has taken brave and bold steps in depicting homosexuality on screen but alas, in all the films (including Bombay Talkies, I am, My brother Nikhil), being gay is an issue and the portrayal of queer characters is very intense. I would love to see a Bollywood film which makes ‘being gay’ a non-issue and portrays the light-hearted, charming and happier side of us. Q. Should the LGBT community use filmmaking as a medium for advocacy and sensitization, or should it be left purely as a form of entertainment? Films are meant for entertainment but their influence on us is huge. Everything our so called heroes do on screen becomes a trend and shapes our culture and lifestyle. Hence, films should definitely be used as a medium to portray the LGBT community but not necessarily to sensitize or seek acceptance because the moment you make a film keeping in mind such things, you make an issue out of it. 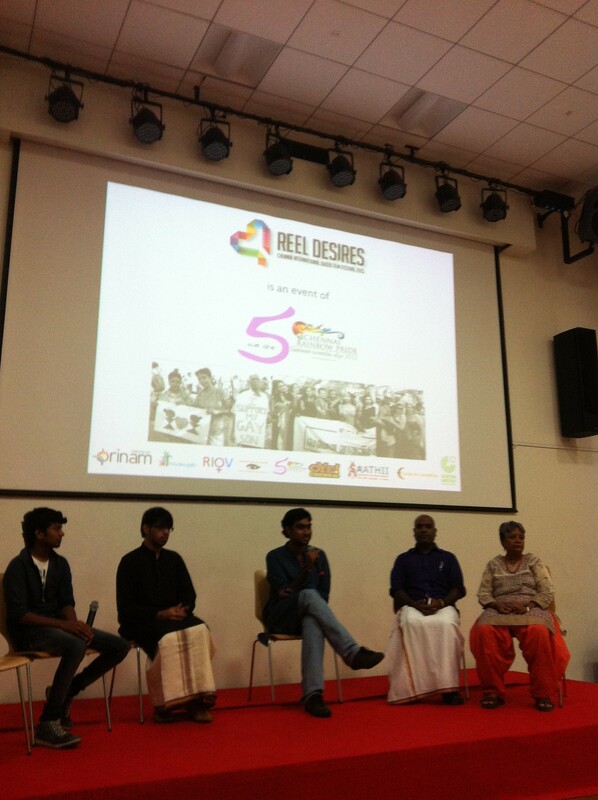 Make a film which entertains yet portrays our life as a community, that will help make people aware of us. Q. What is your next project, and what themes will you be exploring? There are many ideas hovering in my mind but I haven’t zeroed in on anything for my next project. I’d love to explore the theme of queer arranged marriages, the idea of a society where being gay is termed normal but being straight is abnormal, the idea of queer super-humans like a lesbian robot or a bisexual deity etc. 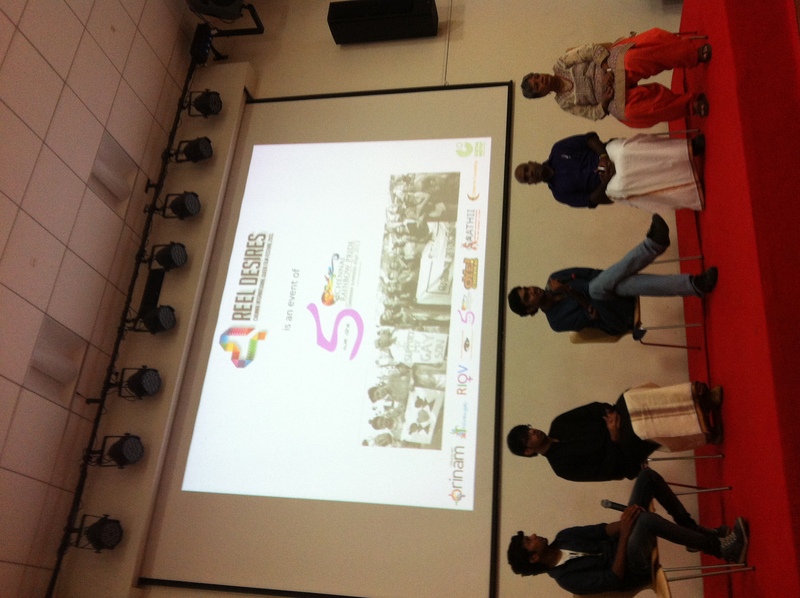 Q. Lastly, what advice do you have for aspiring filmmakers from the community? My only suggestion would be that make a film which not only appeals to a queer audience but one which can also be enjoyed by a non-queer audience equally. Such films will bring change.